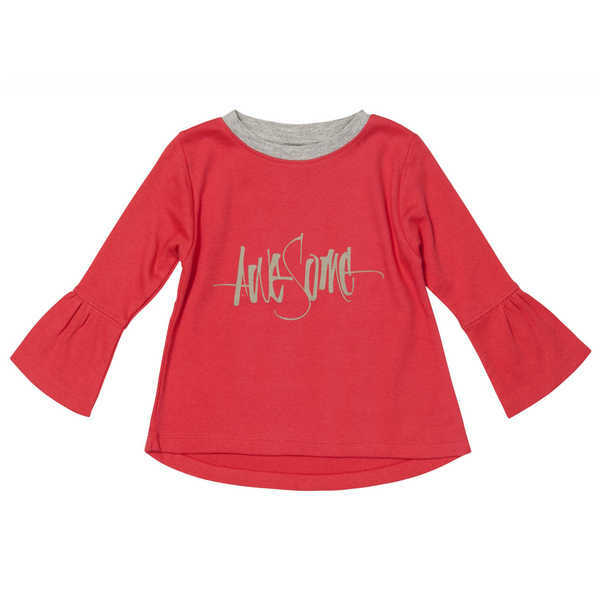 This A-line top features a ribbed neck, curved hem and flared sleeves. Available in red colour with an ‘awesome’ print. 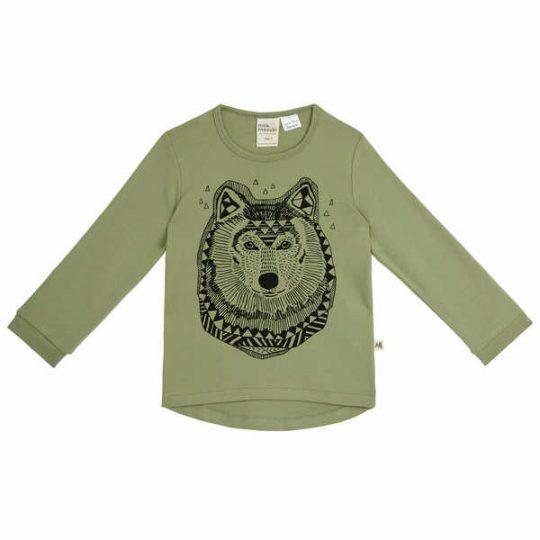 Made from 100% organic cotton knit fabric and machine washable. 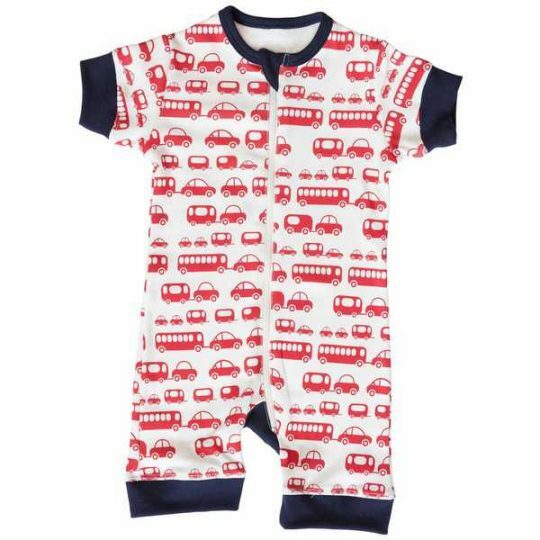 Available in sizes 2 years to 5 years.